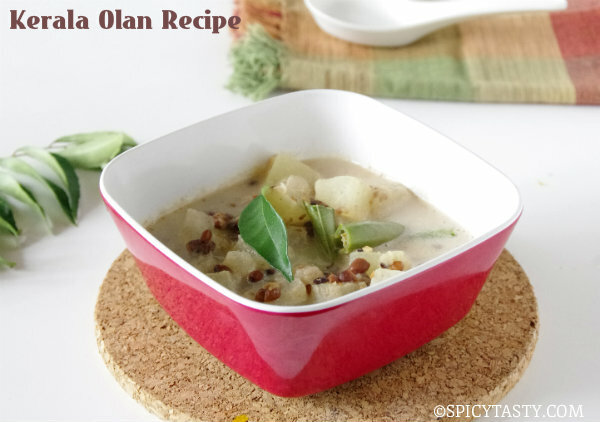 Aval Vellam is a sweet dish made with jaggery and poha. 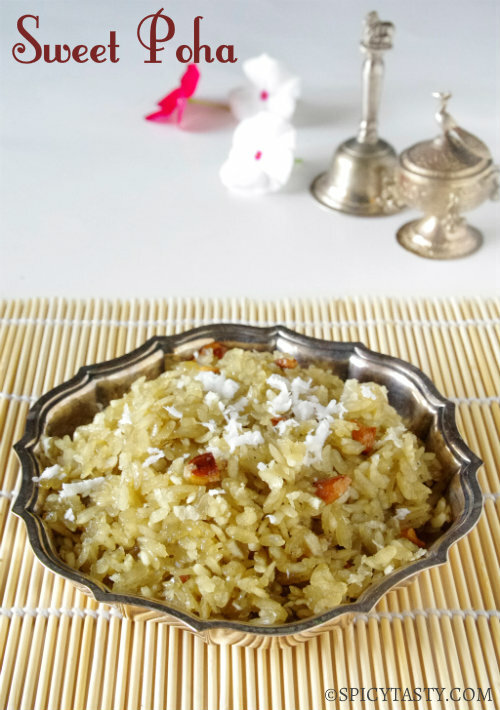 I made this dish for Krishna Jayanthi or Gokulashtami (Lord Krishna’s birthday) since poha is one of his favorite food. 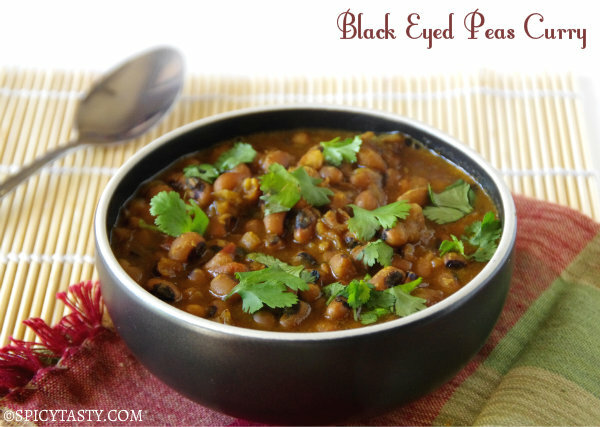 It takes only a few minutes to make this dish and you can serve it for evening snacks to kids. 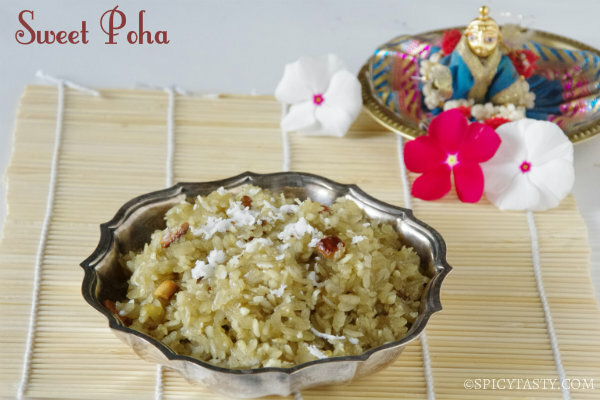 Wash and soak poha in water for 5 minutes or until soft. If using thin poha, just wash and soak for a minute. Strain the poha through a colander. Add jaggery and a little water in a pan and bring it to a boil. When jaggery dissolves, filter the impurities. In between fry broken cashew nut with a little ghee until golden brown. 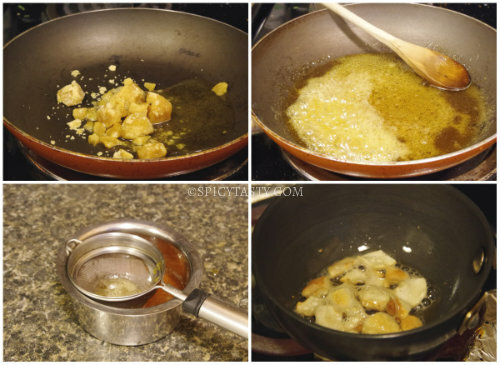 Add the filtered jaggery syrup back to the pan. Bring it to a boil over low heat. 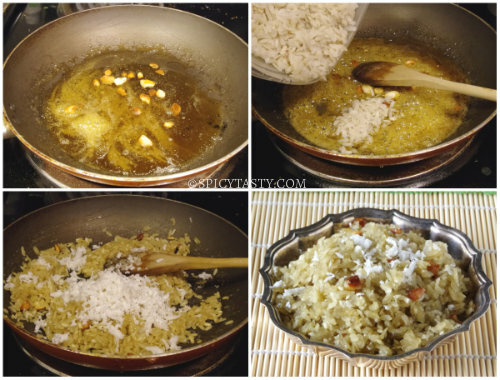 When jaggery syrup becomes thick add powdered cardamom, fried cashew nut followed by poha. Mix well and add shredded coconut. Turn off the heat and mix well. Gosh, this looks like a perfect sweet! One of my favorite desert. If we ad milk to Rather Than adding water. Thanks for your suggestion Sofia. WIll try it next time.